About our White Sage smudges: Smudge Sticks or Smudge Bundles are all-natural ceremonial incenses, traditionally burned in Native American rituals such as sweat lodges. Increasingly, doctors, therapists, and body workers are discovering the beneficial aspects of these herbs. 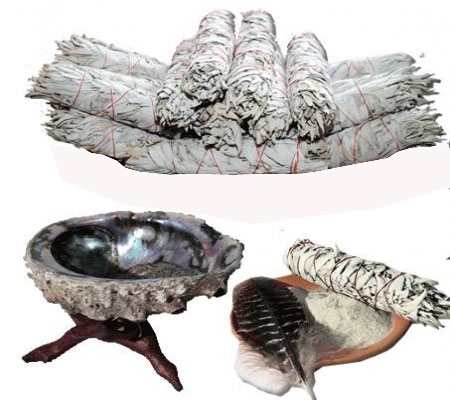 Smudge Bundles are one of the means by which people around the globe are reconnecting with the power of Mother Nature. The use of plant and resin smoke possibly evolved out of the primordial campfires from distant caves. The ceremony of cleansing people, places and objects through smoke is continued today. Not only good for keeping pesky flying insects away, but certain plant smokes (smudges) could preserve food and hides. Some smudges could also impart protection from unseen spirits and thoughts. To apply the protective cleansing power of a smudge a leaf or resin was heated to make smoke that was brushed over the person or object often with a feather fan. Some plant smokes had specific healing properties while others more generic powers. The smudge smoke is made either by spreading dry herbs on hot coals or hot rocks or igniting dry herbs in a clay bowl or shell. 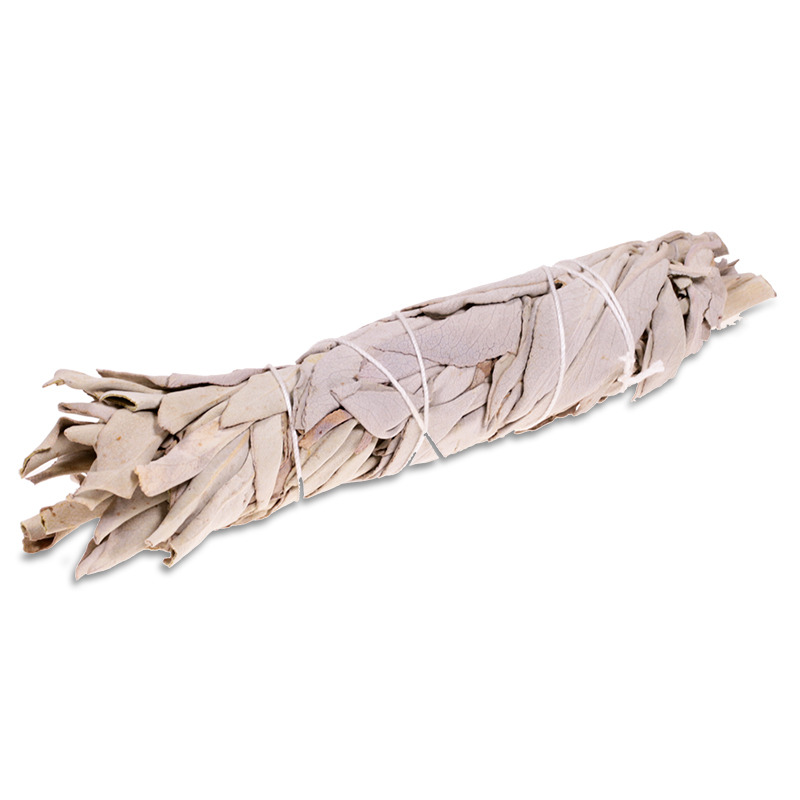 White Sage is burned in smudging ceremonies to drive out bad spirits, negative feelings or influences. The leaves are valued for their aromatic properties and are used as a natural moth repellent (in clothing) or mosquitos (in a room). White Sage can be used in numerous ways. Native Americans of the Plains Nations cover the floor of their sweat lodges with sage. They will also breathe through a small bundle of sage and at times rub the bundle on their bodies while in the sweat lodge. White Sage makes the bad spirits sick, they claim. They go away from it when it is burned. It does not make the good spirits sick. They will not leave when it is smoked. Good spirits like White Sage.